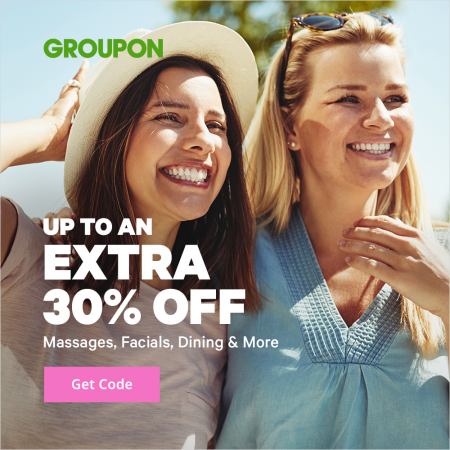 Groupon.com is offering up to an extra 30% off promo code! Save an incredible extra 30% off Massages, Facials & More when you enter the promo code SAVE at checkout! I’ve tested the code and can verify that it works. Save an extra 15% off Dining, Activities & More with the same SAVE promo code. This promo code is valid for 2-days only from Saturday, April 13th to Sunday, April 14, 2019 at 11:59pm PDT. This is going to be a very popular offer so don’t miss out!